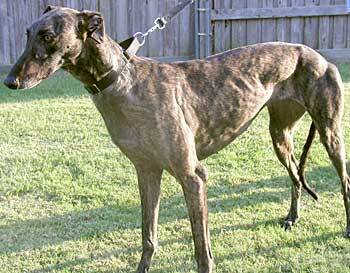 Evie is a beautiful 2-year-old dark brindle female born June 16, 2002. Evie has never been individually registered. Her sire is Gable Luke, making her grand sire Wigwam Wag, and her dam is Minaki Mama. 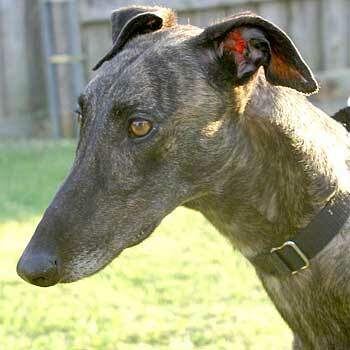 Evie is a smaller female greyhound with almost golden eyes. She is a sweet affectionate girl who loves people. It is not known at this time if Evie is small animal or cat tolerant.